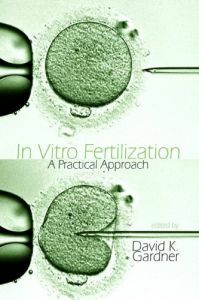 SynVitro Flush is for oocyte retrieval, oocyte washing and for holding the oocyte throughout recovery. 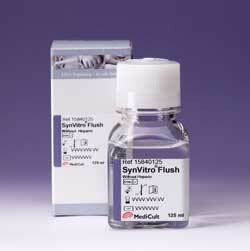 SynVitro Flush is ready-to-use and has been especially designed for in vivo use during oocyte retrieval. SynVitro Flush does not contain human serum albumin (HSA) or antibiotics. SynVitro Flush without Heparin does not contain any components of biological origin and is therefore purely synthetic. SynVitro Flush supplemented with Heparin is to be used to prevent clotting if blood is present after flushing the follicles. A randomised clinical study has shown that SynVitro Flush is equally effective as Flushing Medium containing human serum albumin (HSA), (Ziebe, 2000, Private Communication).